Xiaomi is expanding its physical presence in China. The company has been opening its own Mi Home stores where it showcases and sells the smart home products that it sells from mobile accessories and home wireless to smartphones and power banks. During a conference last month, CEO Lei Jun announced that the company has set very ambitious goals for expanding its presence in the form of physical locations in major cities all over China. Lei Jun said that 200 stores are planned to be opened this year with the ultimate goal of reaching 1,000 stores in three years. 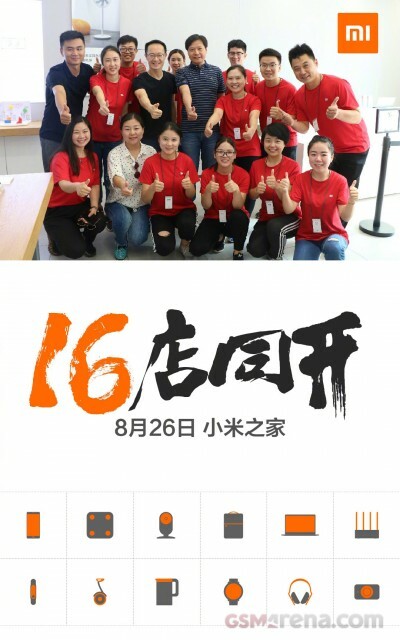 Over the weekend, Xiaomi has simultaneously opened 16 retail locations of its Mi Home stores in China and opened 79 stores in the past three months. Xiaomi’s aggressive expansion of retail stores indicates that it isn’t letting OPPO or vivo get too far ahead of Xiaomi. Both vivo and OPPO already have a lot of Chinese market share and Xiaomi hopes to change that. We just hope that Xiaomi does not spread itself too thin with all the stores it is opening.